Small enough to carry with you and read as you travel! All the texts have been adapted for ease of reading. 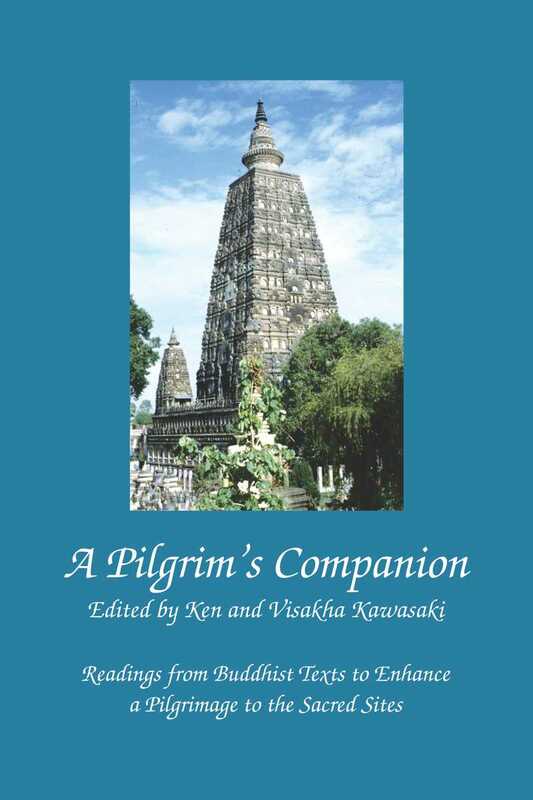 "Ken and Visakha Kawasaki's A Pilgrim's Companion is only the most recent of an ancient literary genus meant for Buddhist pilgrims. It is not a guide book, there are already several of these. Rather, it resembles the muttipotthaka that Sri Lankan pilgrims used to carry in ancient times. These little books listed the virtues of the Buddha so that pilgrims could read and contemplate them while on the road or at the sacred places. A pilgrimage should be more than just sightseeing, photo ops, and buying souvenirs for friends back home. It should also be seen as a unique opportunity to contemplate Buddha's Dhamma in the actual places where the Buddha delivered it. The Kawasakis' useful and inspiring book has been written with this understanding in mind."